Pontifical Catholic University of Chile Law School, graduated in 1986. Associate Attorney of Pfeffer & Asociados. Professor of Political and Constitutional Law at Finis Terrae University. He is also the Academic Coordinator of the Master’s Program in Public Law at Finis Terrae University and professor of the same. 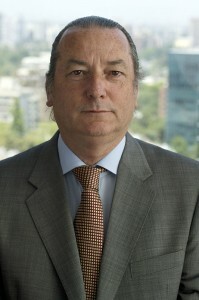 He was Chairman of the Board of Directors and Rector of Alonso de Ovalle University. He has also been a director on the boards of different companies. Founder and member of the editorial committee of the Electronic newspaper “Diario Constitucional.cl”. Corporate and public law advisor.